… in Sartana … Three residents who spoke to The Globe and Mail, including two whose homes were damaged by separatist rockets, said they heard sustained artillery and tank fire from the Ukrainian side before the separatists returned fire. … There have been similar reports from Avdiivka … several media reports suggested it was the Ukrainian side that first moved troops into the no-man’s land between the two front lines, drawing the ferocious response from the separatists. Less than a week after a supposedly friendly phone call between the two [Putin and Trump] at the end of January, the pro-Russian forces in the southeast of Ukraine – the so-called Donetsk People’s Republic – tripled their warfare against Ukrainian government forces. … the pro-Russian rebels of the Donbass region – or their masters in Moscow – seem to have calculated well. The rebels have now increased their pressure on a Ukrainian port, Mariupol, on the Black Sea, which is vitally important to Ukraine. … Mr Trump needs to respond in a sensible and forceful manner. Explain that if you can. My old University of Toronto friend Bill Szuch, who produces the UkeTube youtube channel, has published a rather fun interview with Taras Kuzio denouncing the ‘Russophiles’ and ‘Putinphiles’ in Canadian universities. The roll of honour is: myself (apparently I am ‘infamous’, which pleases me no end); Ivan Katchanovski (author of a well-known study of the shootings on Maidan); University of Ottawa’s Chair of Ukrainian Studies Dominique Arel (who I am sure will be most surprised to be listed among the Putinphiles); Mikhail Molchanov of St Thomas’ University; and Carleton University’s Piotr Diutkewicz. John-Paul Himka also gets a mention. One thing which puzzles me is why Kuzio thinks that I am ‘anti-American’. 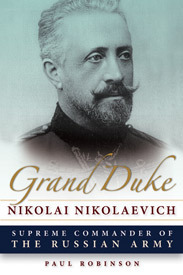 What he gets right, however, is that there are quite a few Canadian academics – including several whom Kuzio didn’t mention – who don’t follow the normal Kremlin-bashing line and who have put forward alternative perspectives about the war in Ukraine as well as other issues (see, for instance chapters in this and this). In fact, it is interesting that scholarly analysis of these issues tends to be much more sober and balanced than what you read in the press. Anyway, watch and enjoy below. Today’s book is Dominic Lieven’s history of the struggles between Russia and France, 1807-1814. Lieven, who comes from a distinguished family of Baltic German nobles, is an excellent scholar. His journalist brother Anatol is one of the saner voices to comment on Russian affairs in the Western media. Book Review: Should we fear Russia? Dmitri Trenin, the director of the Carnegie Moscow Centre, is one of the more even-handed commentators on Russian foreign policy. On the one hand, he isn’t much of a fan of the ‘Putin regime’, and knows how to speak the sort of critical language required to confirm one’s reputation as a respectable thinker in the West. On the other hand, he avoids most of the hyperbole generally associated with commentary on things Russian, and isn’t one of those ‘non-systemic opposition’ types who gives the impression that Russia’s interests are best served by abject surrender to the United States. In light of the West’s current rampant Russophobia, his short (120-page) book Should We Fear Russia? is very timely . This week’s book is Arkady Babchenko’s memoir of his experiences as a Russian soldier in the first and second Chechen wars. As one might imagine, it does not show the Russian army in a particularly positive light. This semester I am teaching a class on military ethics, and for the past couple of weeks we have been discussing issues of jus in bello – that is to say, who may do what during a war. A couple of events in Ukraine this past week have directly touched upon the subjects of our classroom discussions. The first is the assassination of Givi, a commander in the army of the Donetsk People’s Republic (DPR), who was killed by a rocket fired into his office in Donetsk. We do not know who was responsible. But if it was the Ukrainian army, the question arises as to whether such killings are justifiable under the ethical and legal rules of war. To answer that question, we have to pose two more; what is a legitimate target? And what are legitimate methods of killing? These are not quite as simple as they seem. The concept of discrimination (sometimes known as ‘distinction’) is a crucial part of jus in bello. It is almost universally accepted that during war one may intentionally kill some people but not others. The problem is that attempts to find a philosophical principle which allows one to determine who falls into which group, haven’t been very successful. On the assumption that people have a right to life, some writers maintain that to become targets in war people have to have done, or have the potential to do, something to have forfeited that right. Normally, this is seen in terms of them doing harm, or posing a threat, to others. The problem with this principle is that it doesn’t explain why one may shoot a sleeping soldier but not a worker in a weapons factory or somebody who writes computer code for military computers. The latter two may in fact be posing far more threat than the soldier; yet they are classified as a civilians, and may not be intentionally targeted. Some philosophers therefore focus on the idea of proximity. It’s not enough to be engaged in doing harm, or in being part of an organization which does harm; one has to be fairly proximate to the act, or threat, of harm. This rules out killing the armaments worker in his home. But it still doesn’t explain why one may bomb a military cook while he sleeps in a base thirty kilometres behind the front line. Arguments based on forfeiture of rights, or on the idea of doing harm, do not, therefore, provide very good explanations of why we have the rules that we do. A better explanation is a practical, rule utilitarian one. We wish to minimize the damage caused by war. Therefore, we wish to place certain people and objects off limits. The latter need to be clearly distinguishable by means of a simple rule which everyone can understand. Thus, we develop a rule saying that you can intentionally target people in uniform, but not people who aren’t in uniform. The fact that you can therefore shoot the sleeping cook 30 kilometres behind the lines, but not the far more important computer programmer, may not make much sense from the point of view of military necessity, but at least it is a clear rule which can be easily enforced. With this in mind, we can answer the question as to whether a soldier in the DPR army is a legitimate target. The answer, according to the logic above, is yes. S/he is a soldier, who wears a uniform. S/he is therefore a legitimate target wherever s/he might be. The fact that the killing is in an office, not at the front, is irrelevant. As for whether the methods used are legitimate, that depends on what they are. Philosopher Michael Gross writes that one of the problems with targeted killings in war is that they constitute perfidy. There is something to what he says. Restraint in war depends on the warring parties abiding by the agreed rules. Based on the argument above, this means abiding by the rule that uniforms distinguish between legitimate and illegitimate targets. But that rule only works if both sides wear uniforms. If they take them off in order to gain some military advantage, they make it impossible to distinguish between legitimate and illegitimate targets and so undermine the very fabric of the system. With this in mind, the answer as to whether an assassination in downtown Donetsk is justifiable depends on how the assassins do their job. If they are members of the Ukrainian army, and they creep through rebel lines, wearing their uniforms and openly bearing arms, then they act in accordance with the rules. But if they take off their uniforms and hide their weapons until the moment of firing them (which seems more likely given the practicalities involved), then their action is perfidious. The second case is somewhat simpler. The Ukrainian online newspaper Censor.net reports that a Ukrainian court has sentenced a 50-year-old Russian citizen, who goes by the pseudonym ‘Yakut’, to 8 years in prison for serving in the DPR army. He was captured in September 2015, apparently trying to sneak into Mariupol in an effort to desert. According to Censor.net, when captured, ‘he was dressed in camouflage’, in other words in uniform. The newspaper describes Yakut as a ‘mercenary’. If so, then he was not a legal combatant, since mercenaries are prohibited under international law. However, the term ‘mercenary’ is very narrowly defined as someone who fights for money. Soldiers who receive pay, but fight for other reasons, are not mercenaries. The label ‘mercenary’ in this case is, therefore, probably misleading. Moreover, being a mercenary was not the crime for which he was convicted. Instead it was being a member of a terrorist organization. His conviction, I think, is a disturbing development. As noted, Yakut was wearing uniform, or something like it, when captured. His alleged crime was being part of what is clearly an army, which openly bears arms, and has a command structure. Anybody fighting for the armed forces of the DPR thus fits the criteria of a combatant under the Geneva Conventions, namely 1) wearing identifiable insignia (e.g. uniform), 2) being part of a command structure capable of enforcing the rules of war; and 3) carrying arms openly. If captured, any such people must be treated as prisoners of war, unless they have broken the laws of war, in which case they may lose their rights. But Yakut was not charged with any specific breaches of the laws of war. He should, therefore, have been designated a prisoner of war. The only way I can see to justify these cases is by reference to certain theories which my students and I shall be discussing in this week’s class. Unsatisfied with existing explanations of how people become legitimate targets in war, a number of philosophers, most notably Jeff McMahan, have argued that in bello issues of discrimination have to be linked to ad bellum issues of just cause. What makes one a legitimate target is not that one threatens other people, but that one ‘unjustly’ threatens them. The ‘just’ side in any war may be compared to the police; the ‘unjust’ side to criminals. The latter forfeit their rights; and the former obtain additional rights. If Ukraine is the ‘just’ side, therefore, members of the DPR army have no rights, while the Ukrainian state has the right to kill or convict them. The problem with this logic, however, is that both sides in every war think that their cause is just, and if they were to follow McMahan’s argument the rules of war would collapse, to the harm of everyone involved. Thus even McMahan admits that his ideas cannot be the basis of law. Restraint in war depends upon reciprocal recognition as legal equals. I fear that these recent cases undermine this fundamental principle. Due to my travels, I failed to post the next picture in my Soviet calendar on 1 February. So, rather belatedly, here it is – a poster for the classic film ‘Man with a movie camera’.